It’s always entertaining to see exactly how much Apple spends to manufacture each of their iPhone handsets. Thanks to the guys at iSuppli, technology enthusiasts everywhere have a pretty good idea. 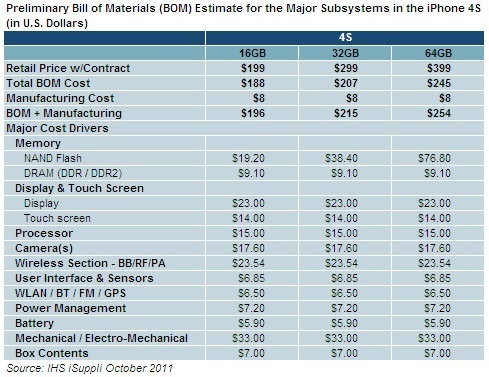 According to the site, the components used to build the iPhone 4S come to around $188 in total, plus $8 in additional costs. And that’s just the 16GB model estimation. For the 32GB and 64GB versions, iSuppli has suggested component costs of $207 and $245 respectively. Of course, there are other costs not mentioned in the above chart. 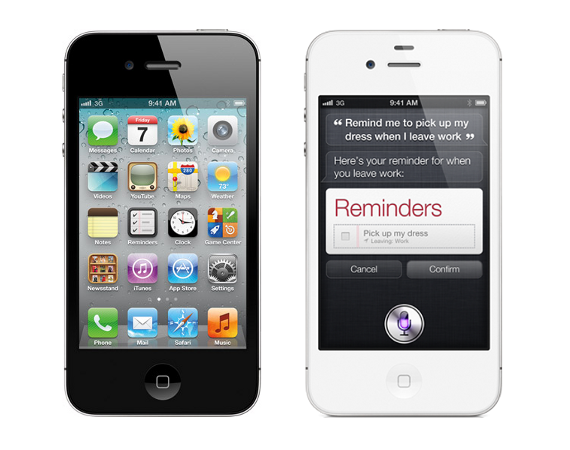 Despite the price of unlisted components, iPhone 4S profit margins are still high compared to other phone manufacturers.